Damon Davis believes there is a way to connect all the dots for a life of wholeness and balance that reaps the benefits of God's natural path of the interplay of spirit, soul, and body. Davis offers an in-depth profile of his life and health history and explains how sickness is often an accumulation of emotional, physical, mental, and spiritual wounds that take their toll over months and years. 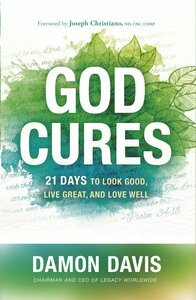 Readers take hold of the knowledge, tools, and motivation to leverage God's curing design.